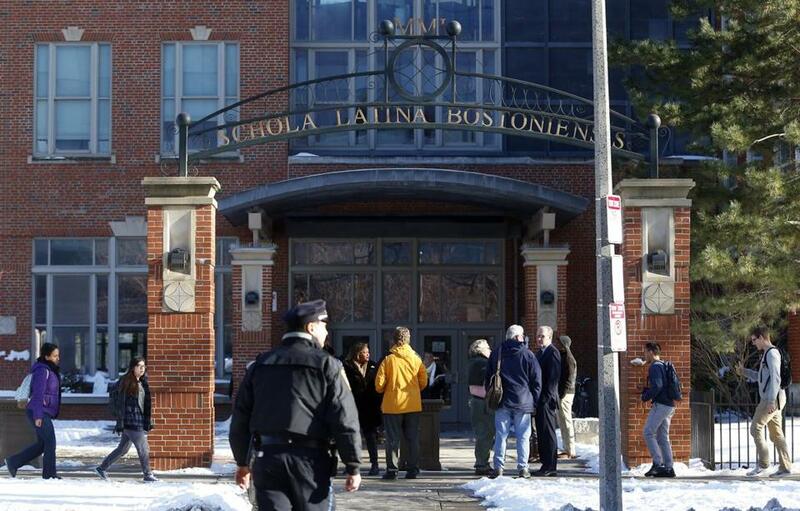 Students left Boston Latin School at the end of a school day in January. A school official with more than 30 years of experience in Boston has been appointed as a special assistant to the superintendent to help improve the turbulent racial climate at Boston Latin School. Albert D. Holland, who was appointed by Superintendent Tommy Chang, will be working with headmaster Lynne Mooney Teta in “creating a more inclusive and respectful school culture and helping faculty address issues of racism and bias,” according to a statement on Friday from Chang’s office. Holland’s appointment came two days after US Attorney Carmen M. Ortiz announced that she would be investigating allegations of harassment and discrimination at Boston Latin for civil rights violations. A prior review by Boston Public Schools released on Feb. 18 found that Boston Latin administrators acted inadequately in one incident where a “nonblack” male student threatened a black female student with a racial slur and a reference to lynching. Amid the controversy, Holland will “help move the school forward,” Chang said. Holland first started working for Boston Public Schools in 1977 and served in various high-level positions for over 30 years, including assistant headmaster at South Boston High School, headmaster of Jeremiah E. Burke High School, and headmaster and executive director of Health Careers Academy, now called the Edward M. Kennedy Academy for Health Careers. As the high school-level superintendent from 1993 to 1996, Holland reduced student dropout rates and provided resources for at-risk students, Chang said. Holland retired in 2008, but came out of retirement six years later to “help stabilize Madison Park Technical Vocational High School during a time of crisis,” the superintendent said. Olivia Arnold can be reached at olivia.arnold@globe.com. Follow her on Twitter @olivia_arnold12.